Summer is here, Akronites! After a long, cold, bitter and very long (did I say that already? It was so long…) winter, I think we all deserve to relish in the blue(ish) skies, warm weather and good vibes the season brings to our city. Traditionally, summer has meant more time outdoors and away from screens, but we all know that smartphones are a part of life now. Heck, Millennials check their phones 150 times a day. That’s every six minutes! So, why not embrace it? Let’s use our smartphones to harness all the creative energy, community spirit, delectable food pics and adorable animals Akron has to offer… on Instagram! 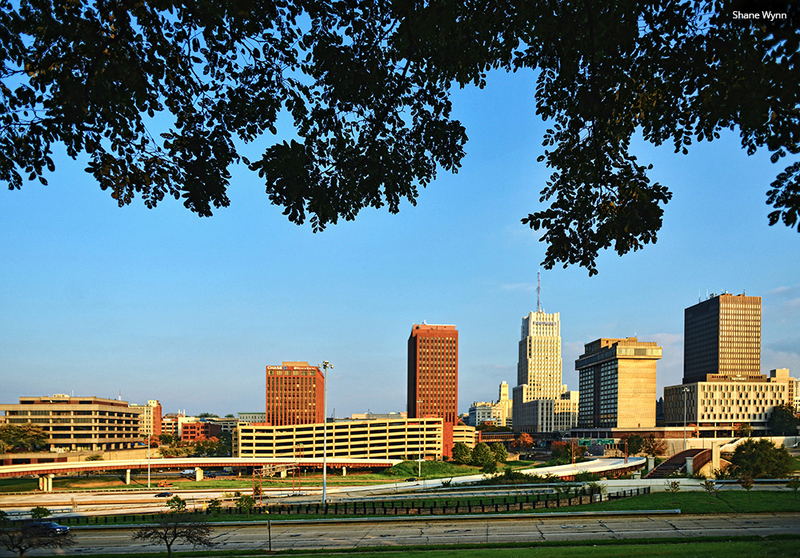 Take a look at our top 10 Akron accounts for the summer. They are seriously Instagood. Lock 3 is located on Main Street, right next to the Akron Civic Theatre. Aside from the scenic canal-side walkway, the outdoor venue offers summer concerts, festivals, community events and the city’s official July 4 fireworks display. Follow @lock3live to stay on top of fun events happening downtown this summer. This self-proclaimed “nakedly pro-Akron arts ’n’ culture mag” is bringing it in terms of cool buildings, craft beer, greasy spoon food pics, hipster music, hand-crafted artwork and all around Akron love. Oh, and snark. Lots of delightful snark. Follow @thedevilstrip if you’re feeling hungry… for a meal or for some inspiration. It’s summer. We’re in America. In the heart of the freaking rustbelt. Supporting your local baseball team is practically required. Plus, if you follow @akronrubberducks, you can get a heads up on free and discounted ticket specials, family-friendly special events, team updates and more. If you’ve never tried Thai-rolled ice cream, you’re missing out. And if you’ve never watched the mesmerizing process of someone making it, you’re doubly missing out. Follow @akroncreamery for tantalizing pics and videos of this classic summer treat.. with a twist. Then, you know, live your life and stop in and get some! P.S. Dogs plus ice cream? There are literally zero reasons not to follow. Summit Metro Parks includes 16 parks offering 125 miles of trails, including the Ohio & Erie Canal Towpath Trail. That sure creates a lot of opportunity for breathtaking imagery of local plant and wildlife. Follow @summitmetroparks for the times you need to be reminded to get outside and get in touch with nature. A community motivator and unifier, Downtown Akron Partnership is making exciting things happen in Akron – this summer and pretty much all the time. From outdoor yoga classes to collaborative mural painting to the construction of bocce courts, this organization is helping to make our city more vibrant. Follow @downtownakronpartnership to discover all kinds of cool things going on downtown. Rock Mill is Akron’s rock climbing arena, yoga studio and fitness center all rolled into one! (Maybe don’t try all that in one day, though.) Rock Mill is a great way for Akronites to escape on a hot summer day and channel their inner mountain man. Follow @rockmillclimbing for your daily dose of summer workout inspo along with Rock Mill news and promotions. Top hashtags: These guys aren't too crazy about hashtags, but occasionally they throw out a #takehold. Jim Roetzel is an Ohio-based nature photographer who captures the wildlife of northeast Ohio with stunning clarity and depth. His work has been published by Random House, Smithsonian and Yahoo (just to name a few.) Follow Jim’s Instagram @jimroetzel where he showcases some of his best shots and brings the beauty of northeast Ohio summers straight to your phone! Summer time means a lot of things for the city of Akron. One of them being, the Akron Zoo is in full roar! (See what we did there?) From farmland and penguin exhibits to wine tasting events, the Akron Zoo has something for everyone this summer. If you want to be informed of all the zoo events and see photos of more than 700 animals from around the world, follow their Instagram, @akronzoo. Of course, your brand’s Instagram may also be a top one to follow. Keep sharing those awesome images, and people will take notice! Consistency is key.